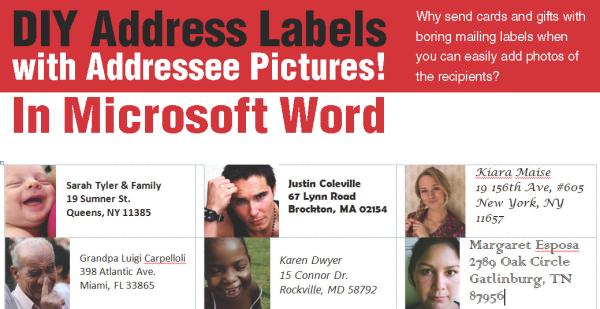 DIY Address labels in Microsoft Word is a PICTORIAL (a graphic howto) created by Pariah Burke of iamPariah.com The pictorial goes into detail about where to find templates in MS Word, how to use the label templates, inserting images and much more. Read the complete Graphic Howto on our Pinterest Board or download the PDF here. This entry was posted in How-To, Label Design, Labels & Printing and tagged Microsoft Word, MS word, Pictorials, using label templates in Word on September 27, 2013 by wlmanager.